Think BMW is not serious about plug-in cars? 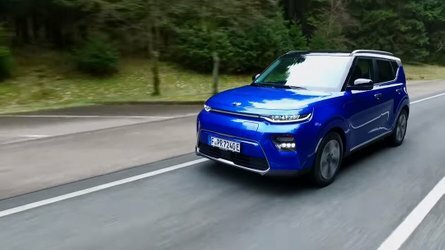 The German company is spending more money showing off the 2014 i3 and debuting the 2015 i8 at the 2013 IAA (think Frankfurt Auto Show), that many companies spend on the EV advertising budget in a year. As well displaying their traditional BMW-wares in a big way - the company says over 60 vehicles will be in attendance, the company has reserved 8,750 square meters in total to put the i3 and i8 on display. 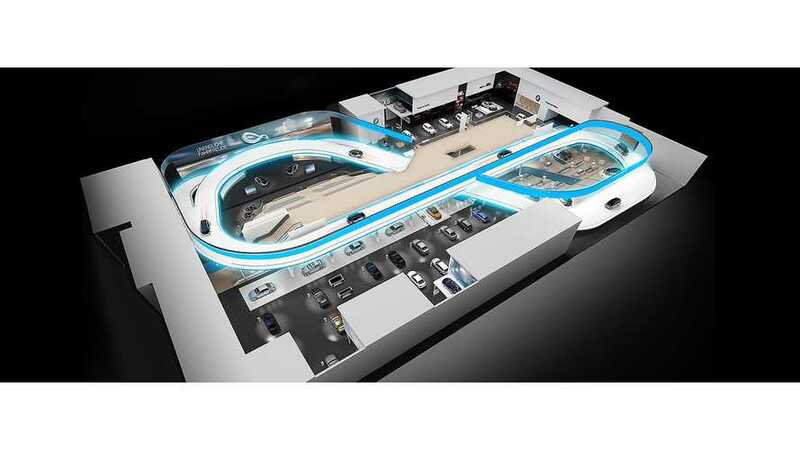 And by display we mean on a indoor "infinity" track, where consumers can catch BMW's i brand it action from September 12th to the 22nd (public days start on Saturday, Sept. 14th). 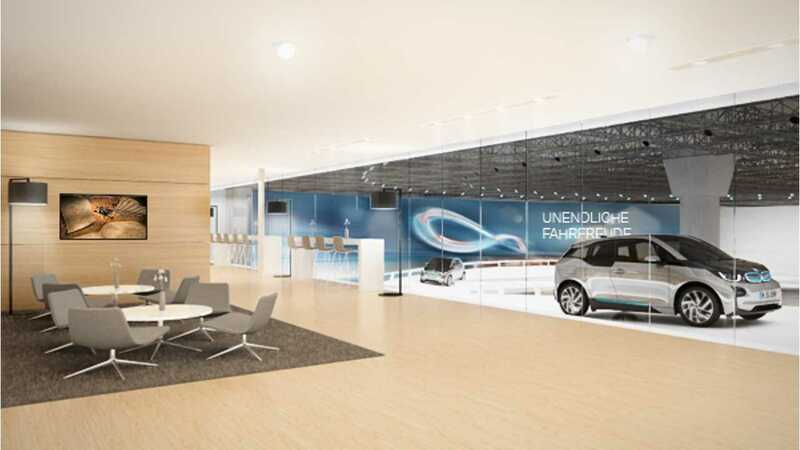 Although InsideEVs will be at the show, BMW has released some technical floor plan drawings of their huge booth ahead of the show for us to have a look at, as well as the adjacent lounge for consumers to peruse their offerings. 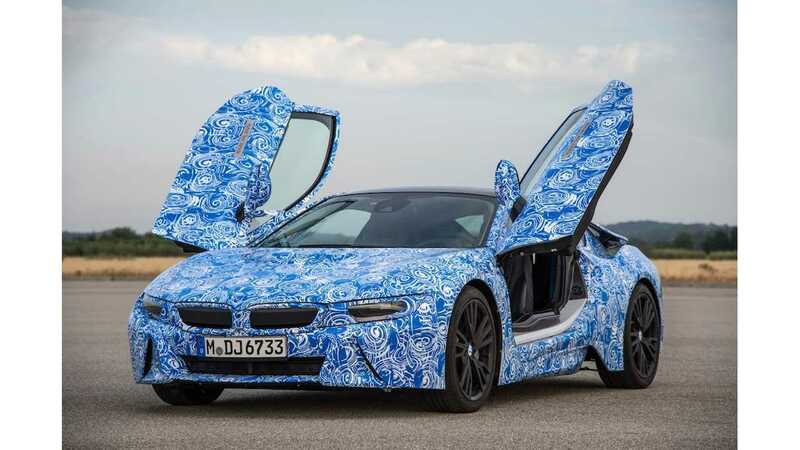 Beside a chance for Europeans to catch the i3 in person for the first time, it will also be the entire world's first opportunity to see the high performance i8 plug-in supercar without its now all-to-familiar blue and white camouflage. The BMW stand is characterised by the new track in the form of an infinity symbol symbolising the sustainable mobility concept of BMW. Visitors walk along the long straight stretch of the track, on a platform six metres above the ground, and experience the new world premiere up close – with particular focus on the new electric vehicles from BMW I.
Infinite driving pleasure is consistently noticeable at the BMW stand at the IAA. 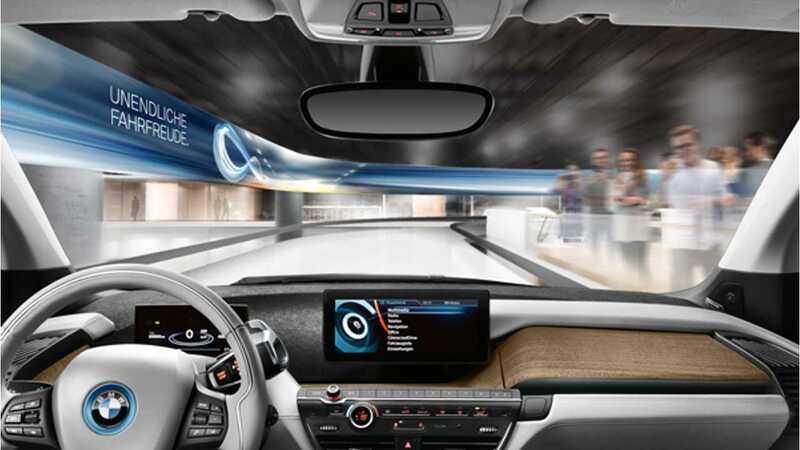 The BMW i3 is presented in permanent action on the 280-metre long track in the shape of an infinity sign that splits the BMW stand into three levels.  Electromobility topics are demonstrated live during pit stops on the stages. The booth's tribune can reportedly hold upwards of 400 people at a time to watch the i3 in action, as well as to see round the clock informative show formats. BMW says the booth will be staffed with "Product Geniuses" that will have a good working knowledge of the BMW i3 "and all its configuration and equipment options...All questions about electromobility will be answered competently in direct dialogue." "If you’d like to end your visit to the 65th IAA with a spectacular view from the wide panorama windows of the BMW stand, you’re cordially invited to join us in our exclusive BMW Group Lounge. A magnificent catering selection is on offer for owners of the Experience Package II. Enjoy the culinary delights while you reminisce about all that you’ve seen and heard. Make your time at the IAA 2013 an unforgettable experience. There’s a fascinating view of the BMW stand to look forward to." 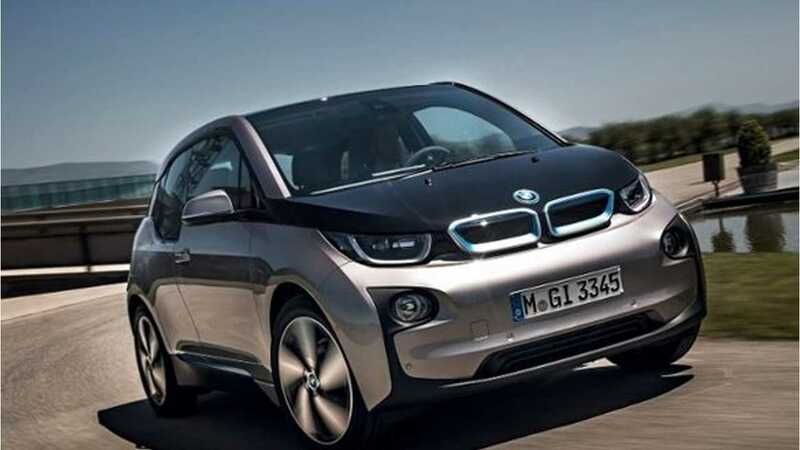 The 2014 BMW i3 is coming the US in the second quarter of 2013, and is offered starting from $41,350 for the all-electric version (90ish miles EPA range), and with a range extender from $45,200 (which adds up to 87 miles more). 2015 i8 production has reportedly been moved forward a bit and is expected before the fall of 2014...the i8 has an expected priced of just under a zillion dollars ... alright not quite a zillion - estimates have the car going between $125,000 to $150,000 in the US; but if you have to ask, you probably won't be getting one.